The desire for self-actualization is what motivates employees to be productive in the workplace. I’m citing the Maslow’s Hierarchy of Needs here because it’s the simplest way to put that main driving force of a good worker into words. For all that it’s been criticized for being overly schematic and simplistic, Maslow’s pyramid does get to the heart of the matter. According to it, self-actualization entails realizing one’s full potential. It encompasses creativity, learning, fulfillment, problem solving, decision making, and morality. If you want your employees to feel motivated and therefore more productive, you’ll need to ensure they can get those needs satisfied. Is It True That It’s Not Money That Motivates Employees to Be Productive? It is true that money, and material goods in general, isn’t the main driving force behind employee motivation. A variety of studies prove that employees value empowerment and ability to realize their potential more than physical rewards. Of course, it’s true that having a nice social package, gym membership, and paid vacations to tropical islands will boost motivation. It’s human nature to enjoy luxuries, comforts, and rewards. However, psychologists and other experts studying employee behavior agree that these perks won’t necessarily increase productivity. On the other hand, giving your employees a chance to shine, apply their creativity, and see their ideas valued, definitely will boost not only productivity but job satisfaction as well. 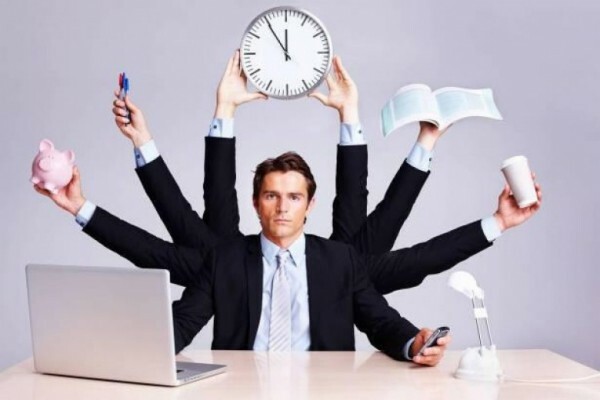 Personally, I completely agree that it’s self-actualization that motivates employees to be more productive. After all, how else would one explain successes of small businesses? Over 90% of all businesses in America are classed as small, meaning they have less than 500 employees. And you know what the majority of small businesses lack? That’s right, they lack financial ability to afford providing their employees with those luxuries. Yet many of them perform brilliantly and have loyal, happy, motivated, and productive workers. The secret of the most successful ones among them lies in their owners’ ability to understand and realize the main motivational needs of their staff. What Exactly Motivates Employees to Be Productive? Allowing your employees to contribute their own ideas. Showing them that those ideas are valuable (even if you don’t realize them, you should offer encouragement and appreciation). Communicating the vision and mission of the company to employees so they understand their role and see how much of an impact their personal input makes. Providing your employees with a measure of autonomy to work on their ideas. You should also consider giving them flexibility to do their job the way they want to. Unless it goes against some specific safety regulations, your team should have the freedom to realize themselves. Encouragement of creativity and critical thinking application. Correcting mistakes instead of dispersing punishments. Learning is what motivates employees to be productive much more than pain or fear of punishment. The latter might motivate them to work and do exactly what you say. However, they will discourage creativity and any potential for growth. Implementing the ideas and vision of your employees whenever possible. If it’s not possible, you should explain what exactly the issues are so the person knows how to improve in the future. Giving your employees more responsibility and some authority in making important decisions. Launching events and programs that will enhance communication and sharing of ideas among your employees. Providing your employees with the resources they need to accomplish everything included in this list. This includes creating a safe and comfortable work environment. This also includes providing training and advice necessary to help your employees become the best they can be. All in all, it’s the appreciation of their input that motivates employees to be productive most efficiently. If you want your team to strive to do their best for the company, you need to show how much you care about and value their input. At the beginning, I said that self-actualization, the tip of the Maslow’s pyramid, is the key to motivating your employees. And it’s partially true as it appeals to their desire to do their best and be appreciated for this. 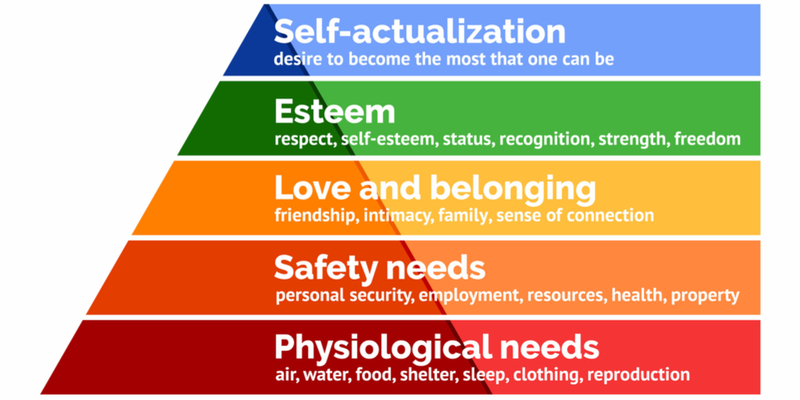 However, if you look closer at the Hierarchy of Needs and consider your interactions with your employees, you’ll see that the entire pyramid is at work here. The salary you pay provides for some of their basic physiological needs. Next come security and stability, both of which come from having a reliable well-paying job. The social and ego needs of the employees are fulfilled through team interactions and recognition of each individual’s talents. Self-actualization opportunities are the clincher that not only motivates employees to be more productive. It actually makes the difference between a boring job you hold onto for food and stability as opposed to a beloved job that makes one want to excel. Making sure your employees get the opportunities for empowerment and self-actualization will boost your business as a whole. Because productive employees equal better business performance. I think we can all agree that money is the bigger pull in turning up to work, but it is the treatment while you are at the workplace, that decides how much effort you are going to put in. I hear you Saul, and that’s precisely why I went freelance! Got fed up with putting so much of my life on hold to help the company grow but then getting treated despicably in the process. Many people looking into the freelance and small business route often cite this problem, Alex. Unfortunately, some companies believe because they offer you a paid job they can treat you how they want. Yet, the rest of us know that this never works to get the best from a person! I have come across more companies that treat employees this way then I have of companies who respect their employees. All I can say is that good employers are out there and, when you do find them, make the most of them!